Anyone hoping for at least a PG-13 post with that title will be disappointed I don’t mean the sexual definition of seduction. Instead, this type of seduction is when someone changes what they support or advocate for because they have a carefully arranged misunderstanding of the issues and what is actually in play. That applies perfectly to competency-based education (CBE) with its neural emphasis that lies behind most of the K-12 reforms and, increasingly, also higher ed. In case someone thinks I cannot tie the desired bullseye to the constant drumbeat of False Narratives around the Common Core, CBE, or its essential component of social and emotional learning (SEL), the acknowledgments page of the book I am about to quote from thanks the influential Bradley Foundation for its financial support. Think of CBE, learning standards like the Common Core, or SEL mandates as a means to use prescribed experiences and other curriculum activities to biologically alter the brain so that suddenly that square peg of human nature is now a round peg. Then it can fit easily into the round hole of social planning. Think of all the data being gathered, that has no need to be personally identifiable to work for purposes of neural change, as a means to “enhance our knowledge of, and hence our ability to manipulate, the source of all human behavior, the brain.” In http://invisibleserfscollar.com/battle-for-the-mind-and-who-we-ought-to-be-portrait-of-a-graduate-in-2030-thanks-to-charlottesville/ we found the behavioral scientists creating the curriculum and dialogues admitting their purpose was a Battle for Human Nature. Now, between that last quote and this one “we may be about to enter a posthuman future, in which technology will give us the capacity gradually to alter that [human] essence over time,” we had Fukuyama admitting the known aims. Somehow too many of us get seduced by terms like Growth, Success, or Continuous Improvement into not recognizing what it is that ‘learning’ is changing. This past week iNACOL released “Quality and Equity by Design” to chart the Course of the Next Phase of CBE. The reenvisioning of education it laid out is premised on the “steady march towards equality and justice within our country” that regards the neural level as the ultimate in evidence-based policymaking. After all, CBE needs to “overcome the history of bias, bigotry, discrimination and oppression that has shaped many students, communities and institutions, including our K-12 education system, and realize educational equity?” How? Why, through ‘brain-based learning’ of course where “QUALITY refers to efficacy–the capacity to produce the desired result or effect…to support academic and lifelong learning outcomes for students.” Lifelong learning is another seductive term that actually has to do with what is hardwired into the brain as well. The next paragraph explained how educators use their “understanding of their students as individuals, adapting as needed to personalize the learning pathway towards common high expectations.” The learning goals do not vary. Only the means of proving the desired neural installation varies and what it took to create the change. Educators look to “academic skills, social-emotional-learning, habits of success and the strength of students’ growth mindset are all taken into consideration” in determining what needs to be changed at a neural level and how to go about it. On October 12, 2017 Betsy DeVos https://www.gpo.gov/fdsys/pkg/FR-2017-10-12/pdf/2017-22127.pdf released proposed regulations for review that enact many of the controversial reforms decried as Positive School Climate, an SEL focus, Fostering Communities of Learners, a communitarian focus, constructivist math and science to be taught in a hands-on inquiry environment, and many other programs that were unquestionably developed in the USSR during the Cold War as this blog or my book Credentialed to Destroy documented. DeVos may not understand that and could be relying on perfidious employees or her time on various think-tank boards. These proposed regulations (that no one can comment against if they remain unaware they have been issued) also fit with that iNACOL paper and its desire to enact a vision of education that supposedly fits “the moral imperative of supporting and empowering the next generation of adults” through CBE and its effects on the students’ brains. Permanent neural rudders are such a better way to steer people if anyone is concerned about a willingness to accede to these visions of earthly transformation. Instead of top-down visible commands, use the decentralized theory of polycentricity. Then the seduction can be pitched using alluring euphemisms like federalism, standards, states as ‘laboratories of democracy’, and local control. https://www.icsu.org/cms/2017/04/Policy-Brief-No.6-FG_FIN3ed.pdf was released back in September and is tied to that same alarming Earth System Partnership/Belmont Challenge the UN is quietly pushing that caused me to start this blog originally. If I had a tricorn cap, I could go by Robin Revere. The first paper in the Bibliography led me to Polycentricity and its ties as a political theory that could introduce social justice into public policy decision-making frameworks. These could then be pushed by think tanks and politicians pretending they are ‘market-based reforms’ instead of overt social planning. Sound familiar? Decentralized decisionmaking that “depend on the values and culture of the individuals creating them.” Gee, if we could only make values and culture the focus of education just like those DeVos regulations, CBE, the Science of Virtues, and the Jubilee Centre Moral Framework all do. If a political theory of social planning like polycentricity being cited in current policy briefs relies on “whether or not a significant number of individuals share or aspire to those values is critical to the operation of the system,” then that theory needs learning standards and CBE to work. It also needs for no one to appreciate precisely how these reforms really work or what they really aim to do. Hence, so many of the False Narratives oblivious to the facts and seeking both public funding and implementation as a matter of law. The NSF is currently using taxpayer money to set up a Big Data Innovation Ecosystem in the US that certainly sounds polycentric. It has 4 Big Data Innovation Hubs to play the convening and coordinating role with area academia, industry, governments, and nonprofits. Anyone who has read my book, think Turchenko with new tools of social planning. The Hubs are now creating a Spokes system extending into all 50 states that is explicitly looking to partner with State Boards of Education and local school districts. This Hub-Spoke System is expressly tied to the NSF-funded BRAIN Initiative we have covered to map the brain and its areas of function. All these plans for us and our children were supposed to be invisible. My blood pressure would probably be lower if somehow I had not been given a means to discern what is being attempted and why, but here we are. These are authoritarian plans for thought control tied into the brain’s structure. To recognize what is going on is to feel compelled to share this agonizing story. In order for these pernicious plans to work though, they need to remain undetected or misunderstood. The plans need to change the nature of education without the true nature of the change being grasped. Most of all, these plans need the tool of the law and its ability to compel even when the effects of such compulsion are neither felt or really understood. 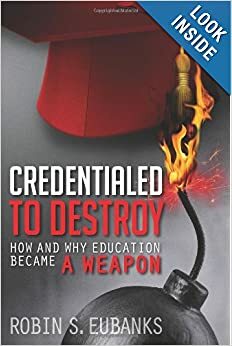 To work, all polycentric visions require “an encompassing system of rules” brought in by accreditors, the terms of promotions for principals, learning standards, or the terms for receiving grant funding to give just a few decentralized, but binding, illustrations. It turns out that bottom-up social planning to achieve transformations needs two things: the human brain, malleable and adaptable to experience, as well as “the rule of law.” Those are the two essential factors that supposedly can, over time, alter human nature from a square peg to a round nail that fits the desired Blueprint. Luckily for us, I keep finding those Blueprints and interpreting them accurately using my non-21st century store of factual knowledge. Please. Oh, please, can I opt for a Door Number 4 as I continue to track down the actual planned social, political, and economic transformative vision for the future? Global and using so-called education reforms as the vehicle. Without our consent and apparently without our knowledge. Modelled on of all things, Soviet psychology and philosophy, but now renamed and spun in terms of Confucius or transpersonal, Integral, philosophy and the ever present systems thinking. Because of course the mindsets that the Chinese leaders find appropriate for their “under our thumb” (to the music of the Rolling Stones please) citizens is precisely appropriate for a US or Australian or Korean classroom. Anywhere I suppose where anyone with political power dreams of looking at the masses of taxpayers and voters and assigning a role of permanent subordination. Mystical Marxism. That’s what Ken Wilber called his Integral Worldview that explores, honors, and acknowledges “all the dimensions of men and women’s experiences–sensory, emotional, mental, social, spiritual.” Now Ken has actually been on my radar for a while because Harvard ed prof Robert Kegan seems to like partnering with the Integral Life philosophy when he is not pushing “Lessons of Systemic Change for Success in Implementing the New Common Core Standards” with Peter Senge and Hewlett Foundation funding. http://www.invisibleserfscollar.com/viewing-education-as-the-prime-lever-for-international-social-change-community-organizing-everywhere/ . But I do not talk about people on the periphery no matter how troubling the implications of their views. No I was following up on the definition of Global Competence and the Smithsonian’s involvement with both Understandings of Consequence and Big History. Which caused me to take a look at the SHOUT education conferences Smithsonian has been sponsoring with Microsoft and another entity I was not familiar with. TakingITGlobal–Inspire, Inform, Involve. It turns out to be a student social media site promoting Global Citizenship. Disturbingly to me, their Theory of Change http://www.tigweb.org/about/why/change.html is “inspired by the integral philosophy of Ken Wilber, which posits that there are 4 areas (quadrants) where progressive development can occur: Interior Individual, Exterior Individual, Interior Collective, and Exterior Collective. Through our programs and project, young people move along a linear path through each quadrant …(A) Youth Development; (B) Youth Action & Participation; (C) Social Movements; and (D) Societal Values.” There’s more specifics on that site to help inculcate that individual and collective common core that prompts transformative action. Parents happily thinking their children have become involved in service learning may want to search out Wilber’s aspirations for Achieving Binding Democratic Global Governance. Part 2 of our title comes from more detectiving around this issue of Global Competence and its integral (couldn’t resist because it’s true) part in CCSSO’s vision of the Common Core’s actual implementation. Turns out in 2009 the Gates Foundation funded a CCSSO project called EdSteps to essentially obscure the key implementation components that might be controversial. Mustn’t allow any disruption of the political narrative being used to con the public on what was coming. It’s the EdSteps frameworks then that announce that the Common Core is about “a nation transforming its business and education systems in response to the evolving global economy.” That would be the Capitalism 3.0 or what Shoshana Zuboff called distributed capitalism and the Aspen Institute the fourth sector/for benefit economy. http://edsteps.org/CCSSO/SampleWorks/EdSteps%20Framework-08_29_12.pdf is the framework. Virginians and Texans may want to note their involvement with EdSteps as more proof you can get the common core implementation without the actual math or ELA standards. The Five EdSteps skill areas are the key implementation components that no one had been previously and systematically assessing: Creativity, Problem Solving for Learning, Analyzing Information, Global Competence, and Writing. Now honestly as EdSteps describes all these areas they will go a long way towards training students to Ascend from the Abstract to the Concrete or what Paul Ehrlich called organizing around Big Ideas and Concepts that will instill a compulsion to act. But you now have those Frameworks and my earlier posts. I need to move on to the even more troubling ideas behind the EdSteps screen. EdSteps is a partner in yet another entity, world savvy, framing transformative curricula and practices for the 21st century student. And without the above link you would never see the ties to CCSSO. http://worldsavvy.org/assets/documents/uploads/WorldSavvy_ComponentsofGlobalCompetency.pdf lays out the Knowledge, Skills, Values & Attitudes, and Behaviors to be instilled in students. It’s all troubling but it’s the Knowledge component we need to focus on now. Especially as it primes for Big History or something comparably false and influential. In particular the phrase “Historical forces that have shaped the current world system.” We don’t have a current singular world system. If we did it would by definition be totalitarian. The aspiration for one was a huge part of what drove one side in the Cold War. As long time readers know, I have been describing what appears to be an effort by UNESCO and other UN agencies to use initiatives like the Belmont Challenge and the Future Earth Alliance (still have not seen anyone involved in tights with lettering on their chest) to get to a singular world system. That phraseology in the Components of Global Competency tells us a lot about the assumptions inherent in meetings none of us have been invited to. It also indicates all these transformational reforms are being driven either by some woefully ignorant people or idealogues enthralled by Utopia. Not to mention the Champagne Tastes and Caviar Dreams of being a connected Business in this vision no longer worried about consumers or competitors. But a key component of this social vision starts at the city or regional level. Where it is much easier to get all the relevant politicians on board and bought off with grants and revenue sharing to finance a transformation. At least in the short term. It’s called the Learning City or Region and shifting the US towards it to dovetail with its Asian push is the purpose of both the Metropolitanism initiatives we have covered several times and the planned shift in federal revenue sharing we covered here http://www.invisibleserfscollar.com/well-no-wonder-no-one-listens-to-common-core-complaints-if-it-is-tied-to-federal-revenue-sharing/ . Well that sounds outlandish and remember learning means changes in values, attitudes, beliefs, or behaviors. I seriously doubt UNESCO’s or the Chinese vision of a whole person would be ours. And again aiming at those personal traits is essential to anyone with an aspiration of an integral human system. Local, national, or global. Bad track record people. And the above links have the Common Core in the US linked to at least two strategies for such a totalizing vision of personal and collective transcendence. The one Hewlett paid for in that previous post and Ken Wilber’s Integral Theory of Change. Which would explain why systems thinking just keeps popping up. All the function and little of the notoriety of the M word. No I am not done yet. But that is quite enough to chew on for today. Future Empowerment Paradigm or Educentric Tradition? Guess Which Began Its Reign 20 Years Ago? Of all the snow jobs I have to hear on why education needs to change away from the transmission of knowledge and instruction of subject matter, the one that spikes my blood pressure the most has to be the sanctimonious–“What we have been doing is not working.” Trust me, the credentialling Colleges of Education declared war on content back in the 60s. It became a hot war in the 90s with honesty among themselves about “revolutionary, unprecedented” changes and “radical” transformations. When controversies erupted, the dishonest revolutionaries though wanted to keep their pensions and taxpayer paid health benefits and monopoly over the classroom. All we heard then was that there was a difference of opinion of how to teach reading or math. At the time I wrote that post about Creating the Behavior Government Officials Want in Future Citizens, I was reacting to the implications of what Bela Banathy had written and ASCD’s Educational Leadership were pushing on schools. And I understood Transformational OBE and its life role performances around an imagined future. Never have thought much of it as you can imagine. Looking back now though I think we need to look at all these OBE and Systems Thinking transformations as related tools to get K-12 education in the West generally but especially the US to the 1989 UNESCO blueprint vision I described here http://www.invisibleserfscollar.com/values-and-vocational-creating-citizen-drones-via-education-worldwide/. Moreover, now that I have seen the early 70s during the Cold War UNESCO vision for a planned society called the Learning Society that I described here http://www.invisibleserfscollar.com/coercing-teachers-to-be-social-and-political-saboteurs-what-can-be-done/ , all of these education programs are clearly just strategies to target the West economically and politically and achieve control over a great deal of what should be free human behavior through the K-12 schools as well as colleges and universities. No wonder it does not really go away no matter the poor effects on students or declines in test scores or even school tragedies that seem to have common factors being left undiscussed. That 70s report was quite graphic about the concept of employing mentally and psychologically invasive means in order to get transformed individual mindsets and visions for the future. The idea commonly phrased now as “You can’t get an omelette without breaking eggs.” I once wrote that students are not trees. Neither are their brains and personalities eggs to be broken and scrambled using data and feedback to adjust beliefs and values and feelings and attitudes to go along with a collectivist vision for the future in the name of the Common Good. Imagine what the officials who brought us Oil for Food’s corruption partnering with Education Leadership degrees have in mind for the future. No wonder we are being prepped for a post-GDP, Quality of Life society. I find it interesting that in his book Flow published in 1990 then U-Chicago psychologist, now Harvard, Mihaly Csikszentmihalyi, has a cover that advocates this ecstatic union of feelings, thoughts, and actions (discussed in the previous post) as a means to enhance the Quality of Life. Of course he also says that Flow is easier for other species of animals and preliterate primitive societies to achieve. That may have a lot to do with UNESCO push for Basic Skills for All and only basic skills that began about the same time. And, oh, that unappreciated change in the definition of Literacy. Now I think I see some patterns here. And reasons for the continued disregard for the reality of what these reforms cause. A second aspect from Spady’s descriptions has a bearing now to what is coming to a classroom near you soon if it has not happened already. First he outlines the use of what he calls the Learning Community concept to ensure compliance with his Transformational OBE vision among Teachers, other faculty, and students. That is still its function now and too many parents are still envisioning academic rap sessions among Sage Teachers and involved, interested students when the Principal excitedly announces a Learning Community. Think of it as no one having the freedom to reject these bad ideas and the consensus being created by those without the knowledge or acuity to recognize what can lead to tragedy. Secondly, the Common Core measurements of what is being accomplished in the classroom are largely formative assessments. Based on what Spady called performance assessments of empowering outcomes. The mentions of tests are largely attempts to mislead the nature of the wholesale change. The forming involves the student in the largely affective ways I have outlined in other posts. But having read a lot of SBAC, PARCC, and Gates Foundation funded assessments as well as the OECD work creating the entire concept, Csik’s psychology transformation of Optimal Experience appears to me to be thoroughly embedded into what is to occur. And Csik thinks Karl Marx’s work has been misunderstood and misapplied and had lovely things to say about Antonio Gramsci and his brand of “humane socialism.” He now wants to develop and remake man’s consciousness as he believes “we now need to learn how to reunite ourselves with other entities.” It is the disciplines and academic knowledge, he believes, that “produced science, technology, and the unprecedented power of mankind to build up and to destroy its environment.” Gosh, darn, amazingly enough, another UN priority. We all have a right and need to know that. Now. Before the New Year. Before the Future Earth Alliance commences working with the education accreditation agencies and unions to impose this vision via education. Even further than it is now. That’s a Vision of Submission if I ever read one. And it’s totalizing in its aspirations. But luckily some of us still have the knowledge and acuity to recognize what we are dealing with. Be brave and forthright now with what we know. We are not naive Chamberlains hoping for the best in 1938.